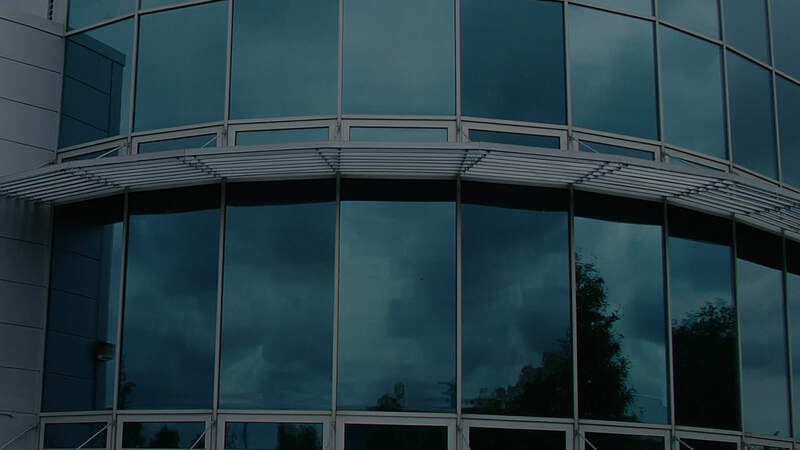 At Corporate Window Films, we are the premier provider of commercial window film solutions in the Philadelphia area. Located in Bucks County, we have been in this industry and serving the needs of businesses like yours for over 40 years. 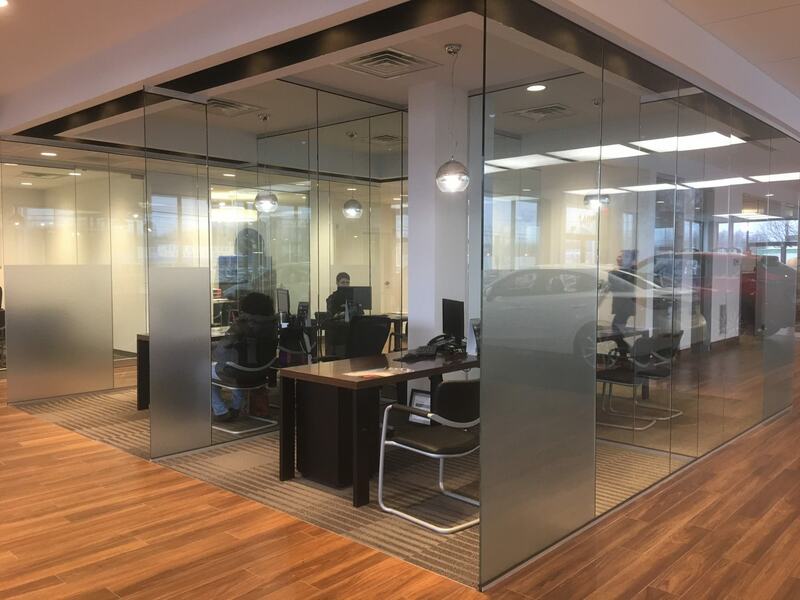 If you are a business owner or property manager in the Philadelphia area, you should be contacting us immediately and availing yourself of our window tinting or frosting services. For starters, not having window films that provide tinting or frosting on the outside of your building is costing you money everyday. It’s expensive to keep office space cool in the summer, and our films will reduce the heat and brightness from the sunshine coming into your office spaces. Your workers and customers will appreciate the more comfortable and glare-free space that we can help you provide for them. When you walk down any major street in Philadelphia, as in any other major city, you will see large office buildings with tinted windows. This is not by accident. Their owners and property managers looked into it and came to the conclusion that having a professional, experienced company apply tinted window film to their buildings provided powerful benefits for their business. Our tinting will block most of the sun’s harmful rays, which will help the furnishings and other items in your office spaces last longer. It will also cut down on glare, which will be appreciated by everyone who works and conducts business in your offices. All of those property managers and owners of all of those businesses and buildings lining the streets you walk down in a major metro area can’t all be wrong. 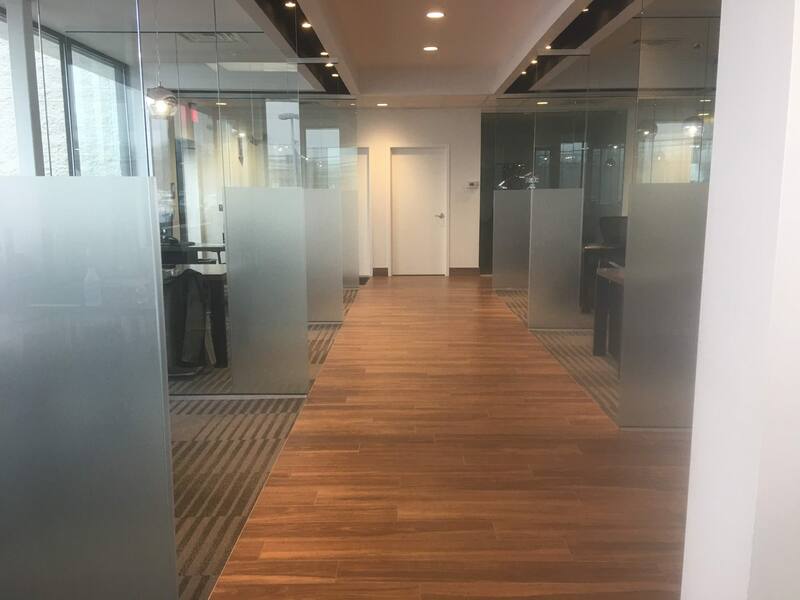 While our most common exterior window films are either mirrored or tinted in appearance, we tend to get a little more creative with interior office spaces that have glass walls or partitions. One of these options is to apply window film that has a frosted appearance. Window frosting can give your interior office spaces a unique look that will make an impact on visitors. If you’re not sure where you might want frost rather than tint or some other option, contact us and our talented team can provide input that may inspire your interior office design ideas. Privacy can be a major reason for why you may want to have our team apply window films to your businesses’ exterior or to interior glass walls or windows. You may have ground floor offices that are right up against a sidewalk, and maybe you don’t want the whole world to be able to look in while you’re trying to work. Similarly, you may want to enhance the privacy of certain individual offices inside your office space from other areas within your business. 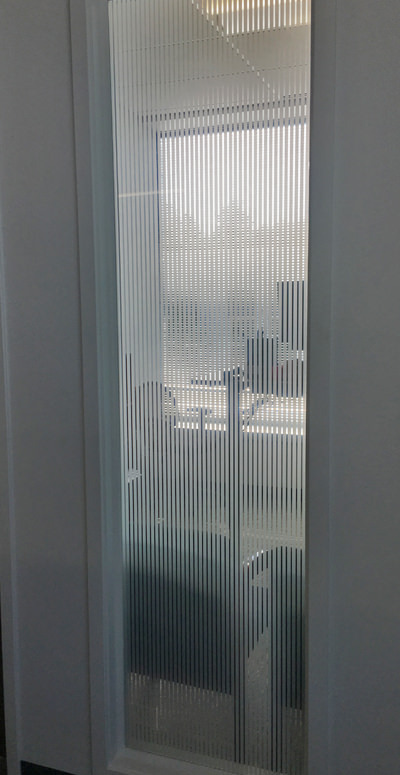 Whatever window film privacy needs you have, we have the knowledge and experience at Corporate Window Films to make them a reality quickly and within your budget. From our Bucks County location, we can be at your Philadelphia area business promptly in order to secure your work space from prying eyes. Safety is a top concern for many business owners or property managers, and you probably feel this way as well. This can be one of the biggest reasons for having tinted, frosted or decorative window treatments applied to the interior glass walls, partitions or windows of a place of business. When your maid service does a particularly good job of getting those glass partitions between offices and work spaces clean, you don’t want the legal headaches of employees or customers walking right into them. Beyond this type of safety offered by regular tinted, frosted or decorative window treatments, we also offer window film that is more specifically for safety. These films are engineered to be stronger than others in order to strengthen and protect windows against vandalism or break-ins. No protection is 100 percent, but our safety films will help reduce the spread of shattered glass, which will reduce the potential for injuries. Window tinting or frosting can provide important benefits, but if you have an artistic flair, tinted or frosted window films can seem a little boring. If you want the benefits of this while also sprucing up the appearance of your office space or retail establishment even more than usual, we can add a dash of color or various designs to our window films. At Corporate Window Films, the array of decorative glass possibilities is only limited by your desires and our talented team’s imagination. We have decorative glass for every style or occasion. We can work with you to have your decorative glass designs flow seamlessly from one room to the next in your office space or retail business, so customers or clients are impressed every time they enter your place of business. No one wants the sun glaring in their eyes especially when they’re trying to get work done. Help make your workforce more productive by having us rid you of this annoying problem. UV rays from the sun can fade carpeting, drapes, furniture and other things in your office. Our window film offers 99% UV reduction, which substantially protects your furnishings from premature fading. It can be expensive keeping office space cool. Tinted window film will help lower your cooling costs. Window tinting film acts as an insulation for glass, keeping energy from escaping all year-round. As you know, our Mazda renovation included a lot of glass in the showroom. Prior to having the glass frosted by you we had people walking into the glass. Since having the frosting done, we’ve had no instances and everyone likes the look. When it comes to window graphics, window tinting, frosted glass privacy/safety film and vehicle signage as well…Marc Yamp has become the “Tried and True” and the go to guy for me to service all of my locations! Marc Yamp comes highly recommended and sets the bar for contractor dependability! We offer competitive pricing for home & business owners. Let's get started today! At Corporate Window Films, we have many years of experience at utilizing window film as well as state-of-the-art wall and window graphics to enhance office windows, walls, glass partitions and to maximize your brand. Marc recently wrapped my work truck. I couldn’t be happier with the results. The number of compliments I have received, about the wrap, amazes me. Highly recommend Marc’s company. When it comes to window graphics, window tinting, frosted glass privacy/safety film and vehicle signage as well...Marc Yamp has become the "Tried and True" and the go to guy for me to service all of my locations! Marc Yamp comes highly recommended and sets the bar for contractor dependability! Marc made an wall graphic for my company and it turned out great! We would definitely recommend CWF to anyone interested in window tints or wall graphics. High quality window tinting at an affordable price. Would recommend to everyone!